The protean nature of space and time seems all the more evident given the post-digital capacity in which we lead our lives today. Much of human existence is now poised on the act of travel, from the intertwined subterrain of urban public transit to sky-born birds of metal leaving white trails in their wake. This physical ubiquity runs parallel to that of the contemporary technological id, a psychic force that seeks both immediate consumption of and presence in the everyplace. A foundation of Soft Turns' long-term research, movement in space and time is a topic of continual contention. The reason, other than its wily character, is that it is belied by stasis–the human experience is oftentimes a bisection of the self wherein past and present bodies coexist. The same can be said of distance and proximity, collapsing perception into something of a closed circuit. 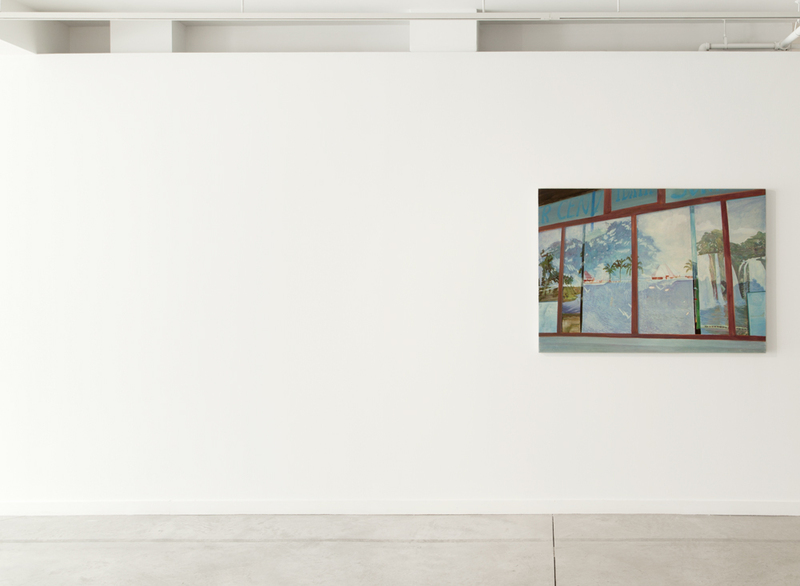 For their second presentation in O'Born Contemporary's gallery space, Behind the High Grass (2012–), Soft Turns has ensnared this particular perceptive enigma, reiterating it through three distinct video works and a suite of auxiliary paintings and installations. This project is an ongoing excavation of source images taken from a found post-war travel book by Czech explorers and filmmakers Jiří Hanzelka and Miroslav Zikmund. The documentation found within, suitably amateur photographs of the wanderers' car, sites seen, and of themselves, becomes the raw matter for paintings and animations as well as a guide for Soft Turns' own travels. The perceptive shift between old and new is often at the hilt of their projects, as when using stop-motion animation of simple, home-made sets to present clean, high definition video works. In fact, the counter-position of technologies within Soft Turns' formal output is a material referent to the conceptual rehearsal the traveling pair enacts in reverence for Hanzelka and Zikmund. An approach to the provisional underlies the varied works comprising this latest execution of Behind the High Grass. Monumentalizing the common sight of discarded cans and bottles on the ground of public transit vehicles, "Traveler Never Feels the Wind, or Hears It" (2014) meditates upon the tides of being. The slow, pendular movement of glass over surface activates an irreducible contingency between self and other, always connected at a node despite never existing as one. The video's premise ignites an unusual exploration of "physical provenance" as trails of dripping water track the pathway of the glass, only to evaporate in an act of time-based erasure. The transient state of emptied beverage vessels becomes an entry point into understanding the oscillatory truth of the travelers to whom they are underfoot. A similar shuddering, like the alternation of an electrical current, can be seen in "Solitary Man with Nature" (2011) as a man standing in tall grass seems to continuously advance towards and retract from the picture plane. 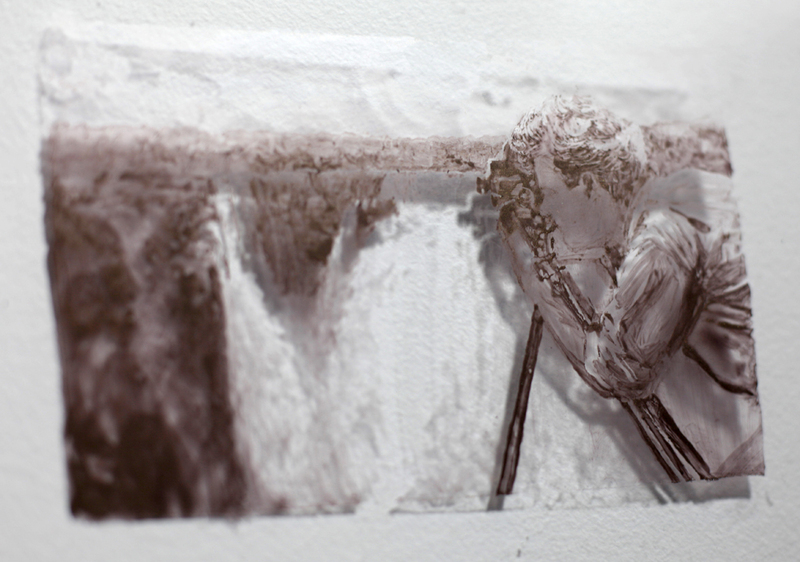 The animation primes acute scrutiny through the mismatched scale between figure and landscape, not only muddling their traditional visual pragmatic but also the relationship between body and environment. If all entities in the natural world are made up of the same base molecules and elements, Soft Turns asks here how time and space enter into the larger conversation of exchange between energy and matter. Echoing the syncopation made so palpable by "Solitary Man with Nature" is a set of painted transparencies–transcripts of waterfall scenery taken from Hanzelka and Zikmund's travelogue. Hovering slightly off the surface of the wall, these reactivated images cast shadowy specters of themselves as if in imitation of light's refraction through a lens. Tentative penetrations into the past, these impermanent imprints are the conjoined twins of their present, painted selves. "P-19720" (2013) is perhaps the most literal exacting of the parallel research and travel habits between Soft Turns and the Czech explorers. Created in Bergen against a landscape of water, cliffs, and harbour fare, the video frames a windshield modeled after the silver Tatra 87. It was this vehicle, a recurring subject in Soft Turns' photographic reference material, which transported Hanzelka and Zikmund throughout their journey. 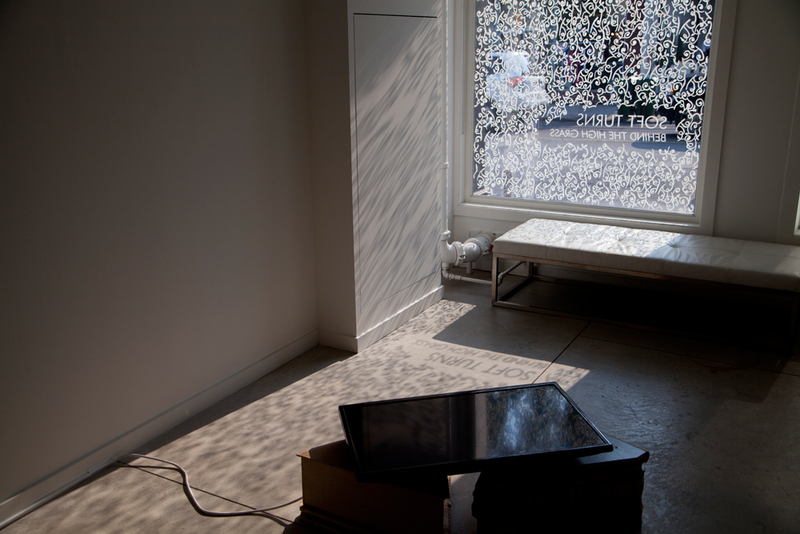 Blank pieces of postcard-sized paper, hung like laundry across the broad window, are the recipients of projected landscape images from the Czech travel account. 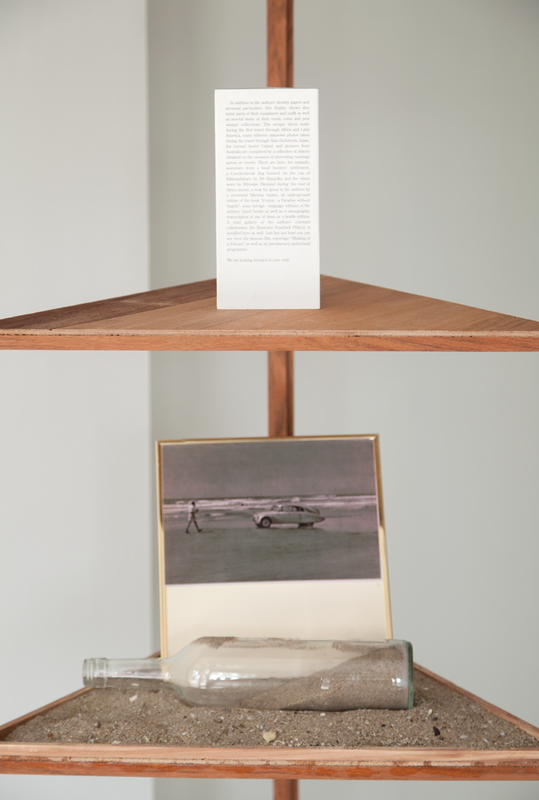 As the day's light shifts–a product of stop-motion time lapse–the flickering of the pages makes the images unsubstantial and undermines the photograph's veridical index of time. These haphazard screens seem like miniature versions of the actual scenery beyond them in the distance and successfully form an equation of proximity and distance, of past travels and present experiences. The summation of Soft Turns' current expression of Behind the High Grass, cast in the indecisive light of today's technological reality, is both a registration of physical awareness and an utter disavowal of belonging to space and time. 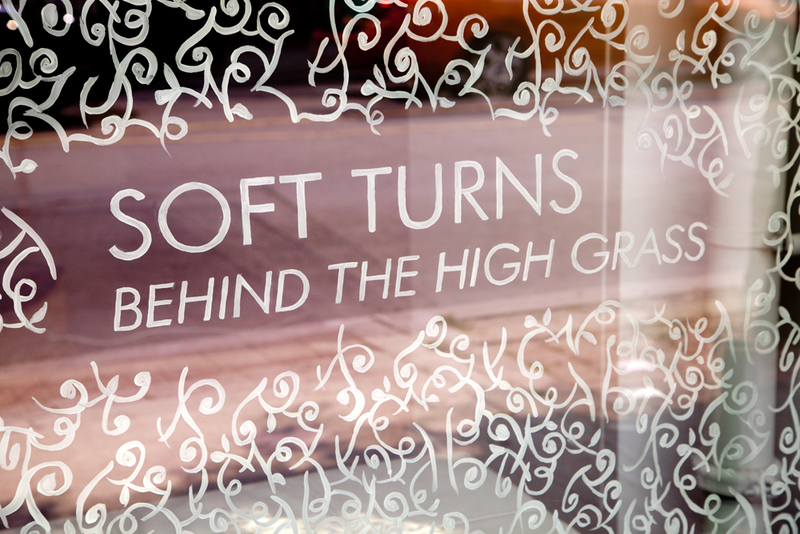 Soft Turns is the collaborative effort of artists Sarah Jane Gorlitz and Wojciech Olejnik. Currently based in Toronto, Canada, they have been collaborating on video installation and stop-motion animation since 2006. 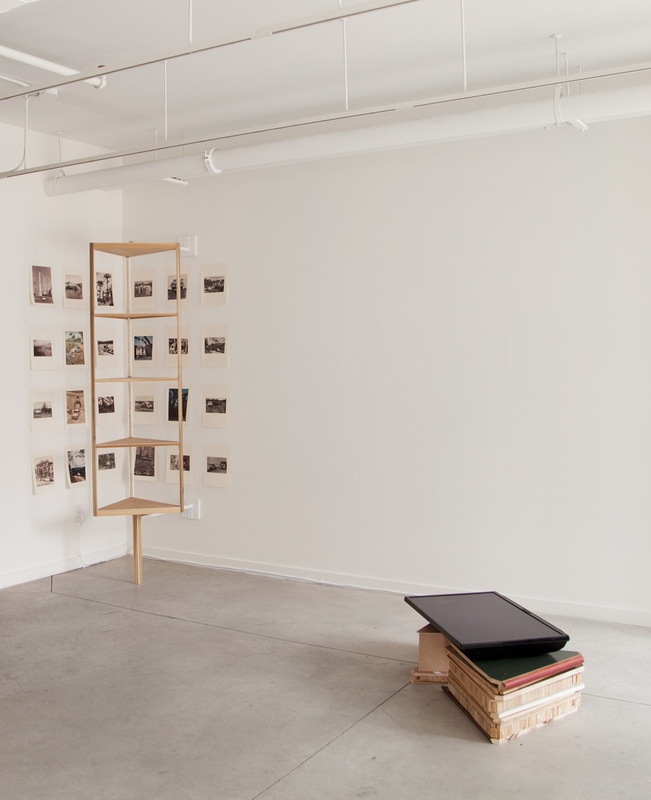 The idea of an encounter with something, as an ever-changing space between the foreign and the familiar, the accessible and inaccessible, is a central theme of their practice. 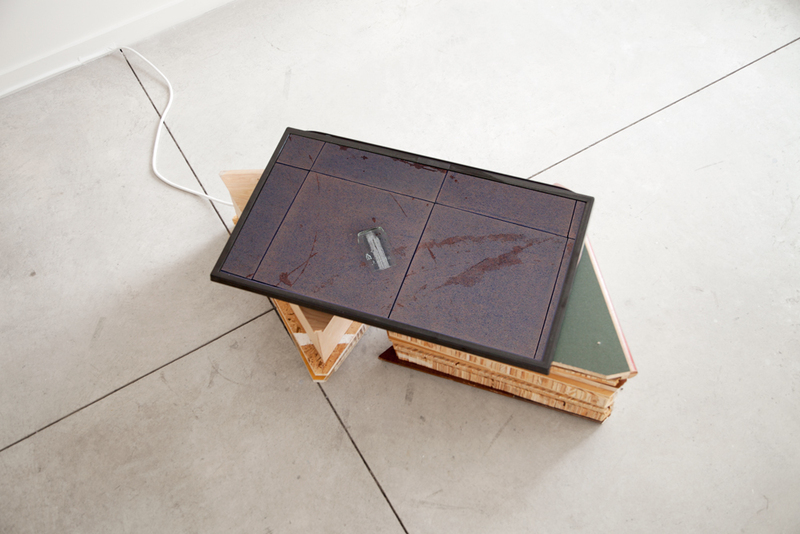 Their collaborations employ found objects, common, easily available materials (i.e. 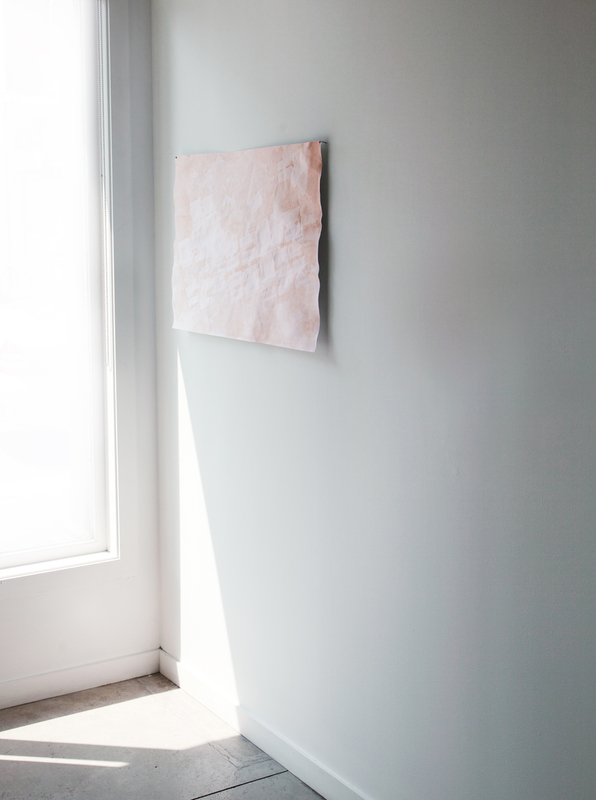 paper and plywood), D.I.Y. 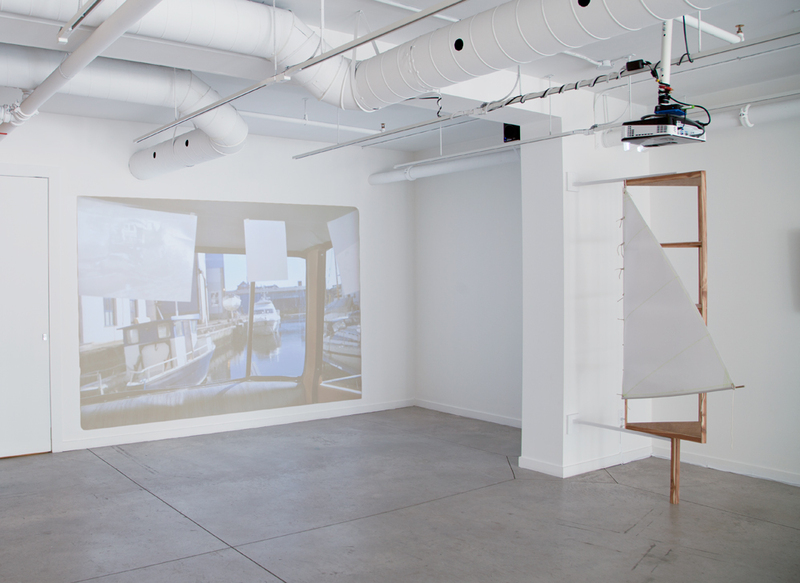 methods, and experimentation as much as intuition to make stop-motion animations and installations that invite viewers into an active encounter with a narrative, subject or space. 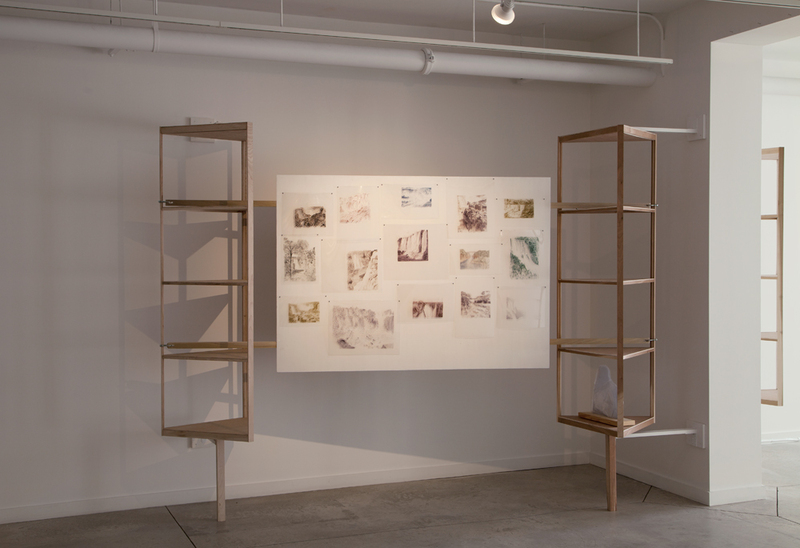 Wojciech (MFA University of Waterloo 2002) and Sarah Jane (MFA Malmö Art Academy 2011) have received support from the Swedish Edstrand Foundation, as well as numerous grants from the Toronto, Ontario, and Canada Arts Councils; including the Joseph S. Stauffer Prize in 2008 and a 2013 CCA Paris Residency. In 2011 they were featured in the Fall issue of Canadian Art. 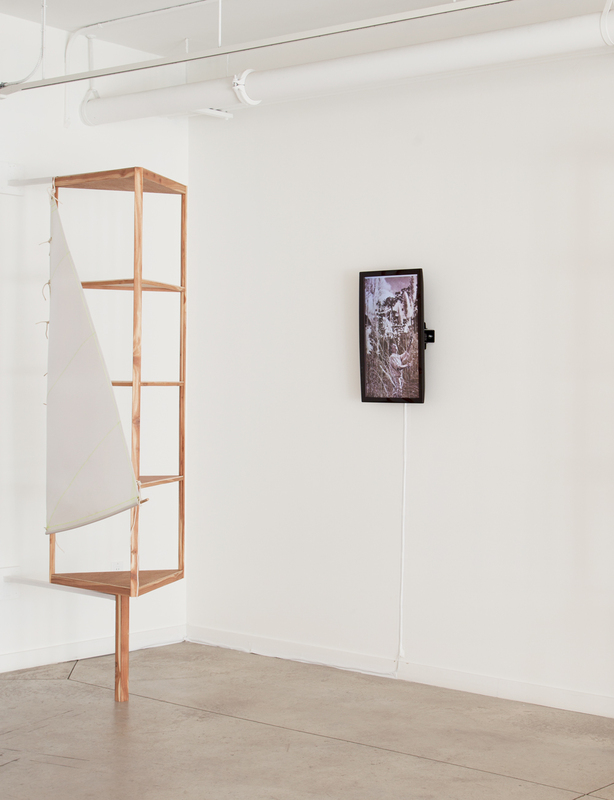 They have exhibited frequently in Canada and internationally; having recent solo exhibitions at YYZ (Toronto), Southern Exposure (San Fransisco), Foundation 3,14 (Bergen), Skånes konstförening (Malmö) and Greusslich Contemporary (Berlin), and significant group exhibitions such as SESC_Videobrasil 18th and 17th International Contemporary Art Festival (São Paulo), Now&After '12, Museum of Modern Art (Moscow), Interaccess (Toronto), Dortmund Bodega (Oslo), Soap Factory (Minneapolis), and in early 2014, Oakville Galleries (Oakville).